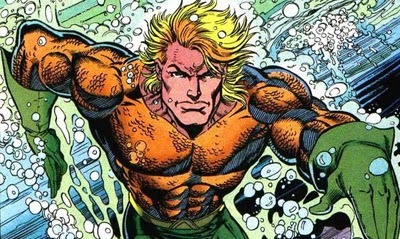 This week, one of the funniest Comic Beats ever; Aquaman's Lament. Not only is today a fishy themed day anyway, the whole song is sung by a lovesick Aquaman, who has had "seven gin and tonics" and sets out to convince Bat-squeeze Vicki Vale to be his girl. While Vicki looks a lot like black Canary, from free seafood to Robin, to telling Superman girls like it 'better when wet', this is one sea shanty you'll play more than thrice. "Sitting in the Hall Of Justice, is there justice after all? 'Cause after all when you discuss us, I am the last name you recall"